Humanity dumps over 2.12 billion tons of waste every year. That number can be graphically represented as if “that waste was put on trucks, they would go around the world 24 times.” And if that wasn’t enough to start freaking out, The World Counts, a popular website where this info comes from, also mentions that roughly 99 % of the things we buy every year is trashed within 6 months, and practically most of that stuff has been made from materials that can be re-used. This global problem needs to be addressed, and the best answer lies on a gradual transition to a Circular Economy. And that’s that because today’s economy is based on a “fast turnover” principle. This modus operandi relies on production chains where goods has one-and-only life and thus they need to be replaced over time for almost-exact same items. It just needs a quick look at Apple’s policy to check this fact out: in 11 years since the first iPhone, they have released 14 different phones. And these devices are only the tip of the iceberg in a take-make-dispose extractive model. This leads to “a staggering inefficiency in the way we manage the Earth’s resources, with increased pollution, loss of ecosystems and substantial losses of value with each product disposed,” as it is mentioned by an article published at the Guardian. Nonetheless, at this pace we need 1.6 Planet Earth to fulfil our material needs every year. The Circular Economy instead promotes a change of mentality at the the productivity and consumption level. As accurately explained by the Ellen MacArthur Foundation, “a circular economy aims to redefine growth, focusing on positive society-wide benefits. It entails gradually decoupling economic activity from the consumption of finite resources, and designing waste out of the system. Underpinned by a transition to renewable energy sources, the circular model builds economic, natural, and social capital.” This model needs to pin-point every single step made within the economy to address three major principles: design out waste and pollution; keep products and materials in use; regenerate natural systems. It isn’t, therefore, just a matter of recycling more materials, but not using them in first place if they aren’t completely necessary. In the case of electronic waste, one of the large waste sectors, a good circular economy would be aim to optimize material recycling and energy recovery to build a smart product design. This would help to “reduce resource consumption and energy use, facilitate the re-use of product components, and extend the life of a product,” as non-profit organisation Wecycle is doing already in the Netherlands. 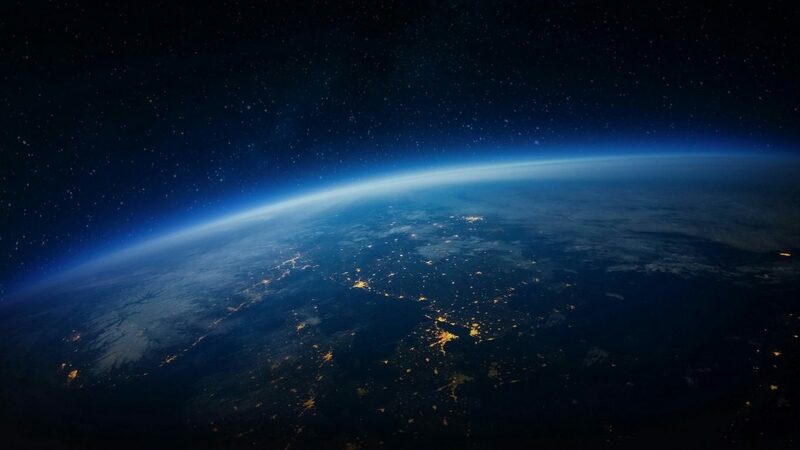 Circular Economy’s defenders argue that shifting towards a Circular Economy might bring along up to 100,000 new jobs as new business opportunities would soar. This spectacular cut in the unemployment rate would come from “caring for items through repair, maintenance, upgrading and remanufacturing is far more labour-intensive than mining and manufacturing in highly automated facilities,” as mentioned in The Guardian. On the other side, the Earth itself would be highly benefited from a Circular Economy model. In fact, “the model distinguishes between technical and biological cycles. Consumption happens only in biological cycles, where food and biologically-based materials (such as cotton or wood) are designed to feed back into the system through processes like composting and anaerobic digestion. These cycles regenerate living systems, such as soil, which provide renewable resources for the economy. 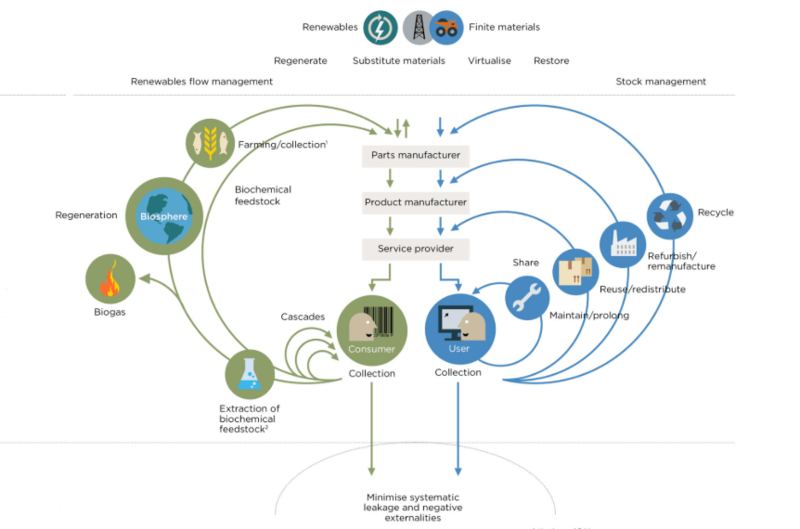 Technical cycles recover and restore products, components, and materials through strategies like reuse, repair, remanufacture or (in the last resort) recycling,” was explained at the Ellen MacArthur Foundation. What’s the Decision-maker role in all of this? However, the Circular Economy can’t be properly applied without a global effort. Governments, companies and consumers alike have a major responsibility to the world. Governments, as main citizen’s representative, are the ones where actions must come from first. A main project addressing the circular economy was delivered by the European Union with its 2018 Circular Economy Package. The project, ambitious and hard-to-be-implemented, proposes that by 2030 all plastics must be recyclable. Other propositions are the recycling of 65% of municipal waste by 2030 or “a binding landfill target to reduce landfill to maximum of 10% of municipal waste by the same year”.